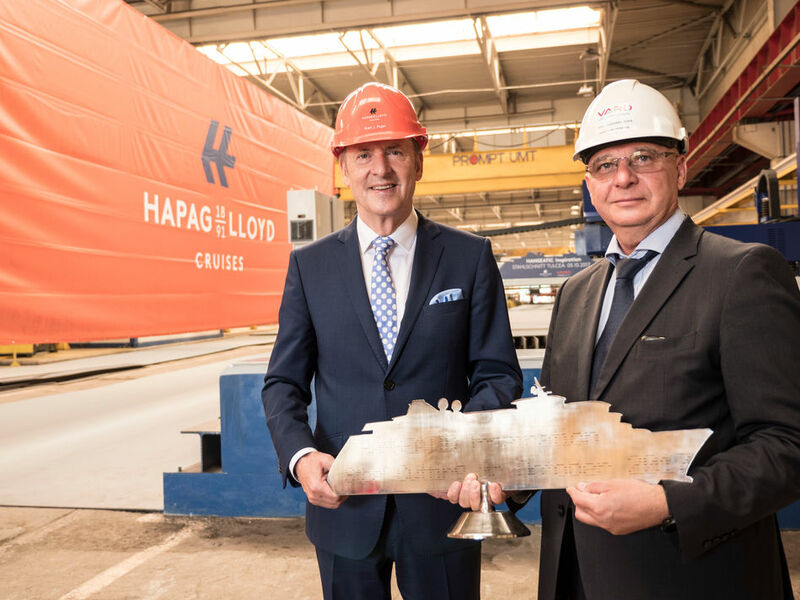 Hapag-Lloyd Cruises started construction on HANSEATIC inspiration, the second of their new-build expedition ships at the VARD shipyard in Romania, with the ceremonial cutting of the first steel. The signal was given to start the cutting machines by Karl J. Pojer, CEO of Hapag-Lloyd Cruises. 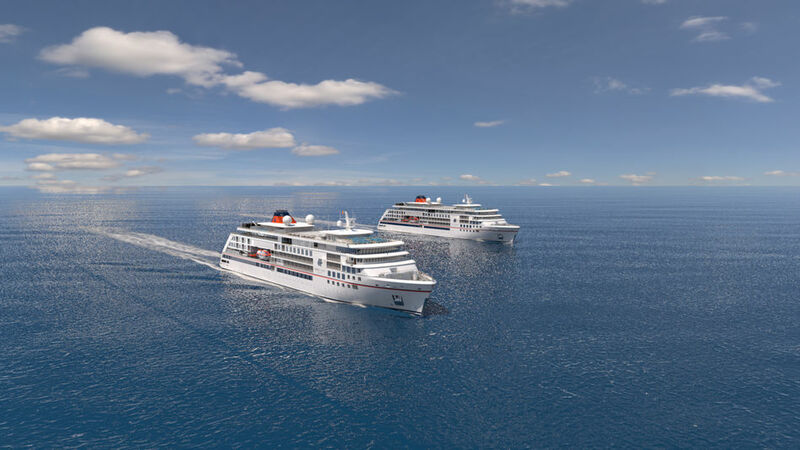 The expedition ships, HANSEATIC nature and HANSEATIC inspiration, are both planned to launch in 2019, further expanding the fleet and developing its pioneering role in the expedition segment. The ship’s hull will be built in Tulcea/Romania, before being transported to the VARD Langsten shipyard in Norway for the interior fitting. HANSEATIC nature and HANSEATIC inspiration - identical in design - will be fitted with cutting-edge equipment and environmental technology and will be able to accommodate up to 230 guests – and up to 199 guests on Antarctic cruises. They will also have the highest ice class for passenger ships – PC6 – so they will be used in the polar regions (the Arctic and Antarctic) as well as in warmer destinations such as the Amazon and the South Seas. The on-board Zodiacs, some of which will have eco-friendly electric drive systems, will make it possible to land in expedition areas that do not have ports and there will be a marina for water sports.